Between 1963 and 1969, the U.S. military carried out a series of tests, termed Project SHAD (Shipboard Hazard and Defense), to evaluate the vulnerabilities of U.S. Navy ships to chemical and biological warfare agents. These tests involved use of active chemical and biological agents, stimulants, tracers, and decontaminants. 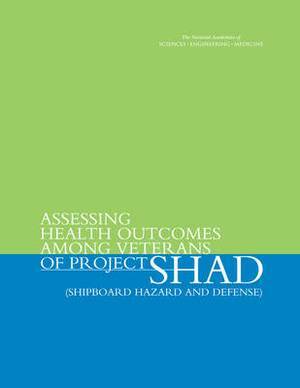 Approximately 5,900 military personnel, primarily from the Navy and Marine Corps, are reported to have been included in Project SHAD testing. In the 1990s some veterans who participated in the SHAD tests expressed concerns to the Department of Veterans Affairs (VA) that they were experiencing health problems that might be the result of exposures in the testing. These concerns led to a 2002 request from VA to the Institute of Medicine (IOM) to carry out an epidemiological study of the health of SHAD veterans and a comparison population of veterans who had served on similar ships or in similar units during the same time period. In response to continuing concerns, Congress in 2010 requested an additional IOM study. This second study expands on the previous IOM work by making use of additional years of follow up and some analysis of diagnostic data from Medicare and the VA health care system.